In this special report, each of Money Morning's top investing experts tell you exactly how they see the next four years playing out… what danger's lie ahead… and how you should best position your portfolio to protect and profit. The $600 billion fiscal cliff we've warned you about has never gone away. It's been marginalized by the campaign, but it has never disappeared. It is, bar none, the single- biggest issue facing our country at the moment. But President Obama's re-election means a lame duck president and a lame duck Congress. Rather than a grand solution, expect more grandstanding and another game of kick the can down the road. Generally speaking, the markets are going to be very choppy in the near term. Fully half the traders on Wall Street woke up on the wrong side of the proverbial bed the day after the election and they're going to have to adjust their bets accordingly. The most stable, defensive and, ironically, opportunistic choices will remain large, super cap stocks. I call them "glocals." These are companies like MCD, Procter and Gamble, General Electric, ABB, Raytheon and Vodaphone. All of them are global brands and have the experience needed to manage real growth despite challenging economic conditions around the world. Most typically pay high income that offsets the risk of ownership and are therefore far more stable than non-dividend paying alternatives. Small cap stocks are just the opposite. Unless there is something especially compelling about them, like a truly unique patent or a new long- term government contract, the volatility will be more than most investors are prepared to accept. Most pay no income whatsoever so they're a crap shoot in today's environment. And don't forget to hedge your bets while you're at it. Inverse funds that offset market volatility are a viable alternative to simply hanging on and hoping for the best. Not only can you protect the value of your income and dividends by smoothing out the volatility, but specialized choices like the Rydex Inverse S&P 500 Fund (RYURX) can help investors stay in the game and generate gains that take the sting out of otherwise problematic losses. I believe bonds will play out for just a bit longer. When this crisis started, I predicted yields would drop all the way to 1.5% on the 10-year note and people thought I was the exorcist. Now that Obama's reelected, I think we could see yields drop all the way to 1%. This means there is still, as hard as it is to believe, additional upside in bonds. Obviously, this is going to be challenging in its own right given that interest rates are hovering at the extreme low end of the spectrum. The best advice here is to keep duration short. My research suggests that 3-5 years is best because that will help investors avoid much of the volatility associated with rising rates in longer dated instruments when they do ultimately come into the picture. Anything longer simply adds unnecessary risk . national policy level response no later than 24 months from now as many states begin to run out of money. Opportunities in Gold, Oil, Defense Stocks and More. As for gold and oil, those are both special topics. Gold is in a league by itself. Following Obama's reelection, there's likely to be a knee-jerk reaction to higher prices as investors move to hedge their bets. That's good, but watch out for the inverse. In the short term there is a real risk that gold falls, not as a function of longer term hedging, but because traders who have used it to collateralize other investments will sell it to raise cash. As far as I am concerned, that's a buying opportunity. President Obama's first term policies created a lot of damage and his second term is likely to reinforce the need to preserve value even more. Investors, traders and central bankers around the world are all acutely aware of this and that bodes well for higher prices. Oil is closely linked to economic expansion by most investors, so it's down on the assumption that President Obama's second term will lead to slower growth. That's a mistake. No matter what happens with the global economy, oil demand is actually escalating and fully 60%-80% of new demand is expected to come from Asia and specifically China. This makes stocks like CNOOC (CEO) especially appealing. Defense stocks are widely expected to take a hit as Obama softens national priorities. That's a buying opportunity, too. The world is becoming a more complicated place by the minute and even if our own defense spending drops, that of our allies will rise. This is particularly true in the Asian Rim where China seems intent on rattling sabers and flexing its economic muscle. An Obama win also means the "greenies" will have a field day with continued emphasis on solar, wind and electric alternatives. Given the administration's widely publicized screw-ups in this area, use caution though and do not confuse subsidies with profit potential. It's still hard to find solid small-cap tech companies in a defensively oriented big cap market. Unless you've got a strong stomach for volatility or an extraordinarily compelling reason for investing under the circumstances, I'd stay away. Still, the nation is growing and American companies are betting big there. Some, like Yum! Brands (NYSE: YUM), Coca-Cola (NYSE: KO), and McDonalds (NYSE: MCD) are obvious. But some like MSD and Best Buy (NYSE: BBY) aren't. The former, which you may know better as Merck (NYSE: MRK) in the United States, expects 30% growth in China over the next 12 months alone and triple that in the next five years. That's why the company is hiring reps and building a $1.5 billion research facility in Beijing despite slash-and-burn expense reductions in the United States and Europe. Whether Obama's in office or actually "in" office is moot. Try your best to dismiss the rhetoric and the posturing that's already started. There are still plenty of opportunities ahead to be had if you know where to look and how to protect your money. And in many ways, we're right back where we started with the same President, and a house divided. For investors, all the uncertainty this situation brings to the fiscal cliff and its impending tax increases and spending cuts are likely to fuel plenty of volatility for the next several months. The 300 point drop on the Dow the day after the election… and a 7% pop in the VIX are good examples of this. We can also expect Ben Bernanke to be in place until at least early 2014. The only change I expect from the Fed now is more frequent and still larger easing campaigns, as well as potentially extending low rates, again, beyond mid-2015. Even if Bernanke is replaced, I expect only more of the same seriously misguided policies. In fact, San Francisco Fed President John Williams hinted that the most recent QE3 bond buying program could well exceed $600 billion. So what does all of this mean to investors in hard assets–particularly those with holdings in gold and silver? Since Obama was elected in 2008, gold is up 116% and silver us up a whopping 198%. Honestly, I expect a similar performance could well be enjoyed over the next four years. Constant easy money, extreme low interest rates, mounting uncertainty, and growing investment demand are likely to be the drivers. If this plays out, by the time the next election rolls around in 2016, we could be looking at $3,700 gold and silver may be trading at $95. Frankly, I could see both of these levels easily surpassed. As for energy, keep in mind that Obama has stated that he's strongly behind the "green" kind. That puts him in a quandary over natural gas. Certainly, it burns more cleanly than either oil or coal. But much of the new supply comes from shale. That means a lot of fracking is required to get at it. The problem is there is a fair amount of environmental opposition to fracking, since those groups believe it can pollute aquifers, and cause minor seismic events. The Obama administration's Bureau of Land Management (BLM) is attempting to impose daunting new regulations on both federal and tribal lands, adding on layers of reporting and compliance costs. As for coal, Obama's made no bones about how much he's against it, even if he does talk up clean coal technologies from time to time. Despite coal stocks being down about 50% since mid-year, they lost another 5% yesterday. There's a good chance much of the bad news has already been factored in, so coal stocks could actually turn out to be an interesting contrarian play going forward. Uranium and nuclear power have taken it on the chin since Japan's Fukushima disaster. But Obama has been a big supporter since he campaigned in 2008, promising nuclear power would stay as part of the "energy mix". Billions in loans guarantees have been promised to large nuclear power utilities. Like coal, nuclear stocks are down, in this case about 35% in the past two years. But a large supply of uranium from the Russian Megatons to Megawatts program will expire next year. Large and developing Asian nations continue to build reactors for cost-effective energy. As well, the power hungry economies of Germany and Japan, both of whom claim they will lessen their dependence on nuclear power, are likely to backtrack in the future as energy costs from other sources skyrocket. Nuclear power and uranium are also looking like potentially good long term contrarian trades at this point. No matter how you slice it, the next four years will be rocky. Volatility will increase and uncertainty will spread. In the face of that, precious metals are a long standing safe haven, something that's unlikely to change. But the world won't stop turning, so energy will continue playing a central role in the economy. Natural gas is one to watch, with coal and uranium looking like attractive options to bet against the crowd. Just make sure hard assets are part of your portfolio mix. If you think the 300 point drop in the Dow the day after the election was something to worry about, you ain't seen nothing yet. President Barack Obama getting re-elected sets the stage for another credit crisis. When the president came into office in 2008 he had a mandate to fix the banking system, which consisted of too-big-to-fail banks holding America and its economy hostage to their greedy schemes. He swept that mandate under the door of Congress and the Federal Reserve. The president has no position on the big banks, and it seems he likes it that way. By lightening up on his already watered-down rhetoric about making banks toe the line, he got campaign money from them. So did Congressmen. That money came from the Federal Reserve. Now that the president has won a second term, he's not about to fight Congress over their pandering to the big banks, since he's got other things to fight with them over; rather, he's going to advocate a lite-touch going forward to allow banks to continue to strengthen their balance sheets so they can fuel an American recovery. It seems to be all happening under the cover of darkness. And, it's not going to work. No matter how much money the Federal Reserve feeds banks via QE4-ever, enough so they could pay off their bailout loans, pay themselves big bonuses again, pay trumped-up dividends to entice equity investors, and continue buying Treasuries with no-interest financing, their balance sheets are still laden with derivatives, stale mortgages and sickeningly more government debt that's about to get downgraded. This president blew his first mandate and the result is that it's like déjà vu all over again. The too-big-to-fail banks are all a lot bigger now than they were in 2008, and none of them are any more stable or less prone to the massive correlation of similar asset mixes and counterparty exposure (namely themselves) that if pierced will trigger another crisis. 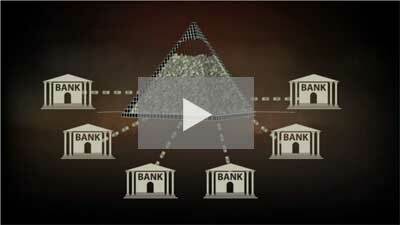 This presentation shows how banks could be escalating a major economic collapse. With a presumed second mandate that probably encompasses all the agenda items he didn't finish, or start in his first term, the president isn't about to take the lead on addressing what's really wrong with America's economy. And what is that? It's the public's total lack of confidence in the capital markets and their ability to finance growth where it most needs to be nurtured, close to home. But, before we all liquidate our portfolios, maybe we should give freshly elected Elizabeth Warren a shot at leading the Senate to the high ground on the future of banking in America. If Warren champions smaller, better capitalized banks that aren't too big to destroy us all again, maybe the president's socialist tendencies, especially when it comes to big banks and the Federal Reserve, will be checked and free markets somehow restored. In the meantime, someone hand me some sell tickets. By 2016, Mitt Romney may be sighing in relief that he lost the election. The economic landscape for the next four years is likely to be filled with crises, and the president in office will be blamed for most of them, whatever his policies. Romney's destiny of quiet retirement with his automobile elevator and his Cayman Islands investments will seem greatly preferable to the struggle that awaits the re-elected President Barack Obama. Internationally, four more years leaves plenty of time for things to go wrong. Japan's government debt, now 230% of GDP will be 270% of GDP by the end of 2016. And since the largest debt that has ever been handled was Britain's 250% of GDP in 1815 and 1945, a panic is likely, stopping the government from financing its operations. The EU has also decided to bail out the weak sisters in the Eurozone debt crisis, rather than letting them escape the euro and face economic reality; by 2017 it will have run out of money, bringing either default, hyperinflation or both. What's more, all four BRICs are running into crisis, because they are badly run socialist behemoths that have had too much money thrown at them – by 2017 crisis will have hit, with a huge economic downturn and possibly something worse. Finally, in the Middle East, a non-economic problem: Iran will have built a nuclear weapon. Domestically Ben Bernanke may retire in January 2014, but will be succeeded by somebody as bad or worse. That means more money printing, sky-rocketing commodity prices and probably a surge in consumer price inflation. One or other of the international crashes will likely produce a renewed recession before 2016. Taxes will go up, without the deficit declining much, as they will slow growth. Higher taxes will however be less damaging to the economy than the tsunami of regulations produced by an energized Obama bureaucracy, who are in place and ready with bad ideas, but have been holding off for the last six months because of the election. Thus, by the next election unemployment will be closer to 12% than the current 8%. One small comfort: since U.S. government debt will still only be around 150% of GDP in 2016, lower than Japan's, we may be downgraded by the rating agencies, but won't suffer a full fiscal crisis where the government can't borrow money. For investors, the advice is clear. Buy gold, oil and miners/energy producers. Don't buy anything that relies on a buoyant U.S. consumer market. If Apple Inc. (Nasdaq: AAPL) is trading at $700 in 2016, it will be because the dollar is only worth 10 cents. Buy solid dividend stocks with recession-proof cash flows. Buy emerging markets companies, but from solid, well-managed countries, not from the BRICs. And whatever you do, don't buy Treasury bonds. Now that the election is over, the real question facing tech investors is the same today as it was in January 2009 — how to play the Jobless Recovery. Clearly, the stats show a modest rebound — weak progress on jobs that is just slightly ahead of population growth. I still see a sluggish economy for the next few quarters. We haven't had any news out of Washington — from either party — to give employers the confidence they need to hire in a big way. Now, with Obamacare kicking in along with new regulations on banks and finance companies, I believe that trend will continue. If you look at the charts for any of the major indexes, you can see that the last several months show a lot of mood swings based on news about macro factors. I'm not suggesting it will be highly volatile in the months ahead. But for at least the next couple of quarters, we're likely to see a choppy, news driven market. Editor's Note: How choppy? Much worse than you may think. Take a look. Looking at the big picture for investors, I think it is vital you focus on firms that have strong earnings, solid operating margins, and low debt. Investors have no patience for any stock that misses earnings forecasts. So, if you buy a stock on the belief it will surprise on the upside, you better hit the nail on the head. Or you'll get crushed. When it comes to technology, a second Obama term will be just like the first — there will be winners and losers. Yes, the mobile wave will continue. The movement from desktops and laptops to handhelds is an unstoppable force. That means the Old Guard of Tech will continue to see its markets eroding. Cloud computing also should do well. The growth drivers are simple — the mobile wave and the need for firms to convert to an all-digital format. Also, firms need what's called Big Data so they can crunch numbers to tailor their products to new buyers or find whole new markets. In my mind there's no question a second Obama term will keep many defense contractors in check in the short run. You'll need to keep an eye on firms that have a big pipeline of funded contracts the Pentagon is unlikely to cut. It may take some time for defense stocks to get completely re-priced. However, I think that by the second quarter of next year, we will have budget clarity. And that should give the sector a bump. In health care, firms focused on information technology also should do well. That's because Obamacare will force firms to keep a lid on rising costs, and health IT can play a big role in that effort. And finally, the pace of American innovation will remain vibrant. We have a lot of bright minds out there always looking to invent the Next Big Thing. That's the history of U.S. technology. And no matter who is in charge in Washington, that creative force will keep bringing us new breakthroughs — and investment opportunities. As I mentioned in Oil and Energy Investor ("Something Big Hits the Oil Markets… Starting Tomorrow"), the primary problems today are exactly the same ones we had before the election. In fact, aside from the Dems picking up a few seats in the Senate, the composition remains the same – one party controlling the White House and the Senate; the other with a majority in the House. For all the criticism of Congress kicking the can down the street, that's just what the nation as a whole did on election night. There will be no possibility of expecting a recovery in an environment of uncertainty about rising taxes and meat cleaver program cuts. I'm calling this the financial precipice these days because I am tired of saying "fiscal cliff." But it is one of two things that have pushed the energy markets down, along with markets across the board. The other is another round of disquieting statements out of Europe about a slowdown. The added concerns from the continent today are indicators the pressure is beginning to affect Germany. If the "Prussian engine" slows down, the European credit situation becomes much worse. Both of these have a far greater impact than who happens to occupy the White House. But the divide inside the Beltway remains the real political crisis as we approach the end of the year. Most politicos assume there will be another band-aid put on the sore, but it is the continued uncertainty that is weighing on the markets. This uncertainty will also weigh on the energy sector, particularly on oil prices. The actual dynamics of the oil sector (the combination of paper barrel/wet barrel differentials, geopolitical pressures, inventory levels, supply concerns, and infrastructure dimensions, among others) are moving indicators up. Meanwhile, the continued angst over emotional readings of headlines and doomsday pundits are pushing them downward. Both crude oil and RBOB (Reformulated Blendstock for Oxygenate Blending, the gasoline contract traded on the NYMEX) are exhibiting backwardation. That means as you move further on the futures curve, longer out months are pricing cheaper. Not by much, and not a particularly unusual event during an election season. But enough to discourage holding inventory. Nonetheless, there is an indicator emerging that does tell us what is likely to happen once the next Washington quick fix is approved (probably just before the roof caves in, if the recent embarrassments of Congressional inaction are repeated) and the troika approves the next Greek bailout (should happen soon). Most analysts don't follow this one, but I have been tracking it for some time. It deals with the use of crack spreads (in this case, trading futures of crude against futures of gasoline and low sulfur heating oil). While the gasoline situation is leveling off, heating oil and its cousin diesel (they are both produced from the same cut at a refinery) have not. These have been indicating a constricting of the market. And that constriction will kick in whether or not there is another hurricane and regardless of party labels in the White House or halls of Congress. That means we are about to see another rising price cycle in the energy markets. The current short-term climate is depressing that breakout. However, once the net band-aid is put on the fiscal problem at home and the credit bailouts take shape in Europe, this will hit. This will not be uniform but will take place with greater amounts of volatility occurring over shorter, compressed time periods (what statisticians call kurtosis). That volatility will hit in both directions, with a medium-term ratcheting up. The strategy now is to position your portfolio to balance energy sectors, exposure to broader sector events – through selected exchange traded funds (ETFs) and equity issues from master limited partnerships (MLPs) – as well as play the upstream (production) side of energy against the range of midstream essentials (gathering, initial processing, feeder and trunk pipelines, terminals, storage). This should be done in crude oil, natural gas and electricity. And then hold on. This is going to be a rocky ride! Editor's Note: While everyone is concerned about the Fiscal Cliff… new evidence has come to light that makes the Fiscal Cliff look like a walk in the park. In fact, this investigation may reveal a coming crisis that could crush the global economy. Click here to see the shocking charts and proof so you can decide for yourself.